The council addressed a number of issues this month. The change with the biggest long-term significance was clearing the way to proceed with the git migration once infra is ready. 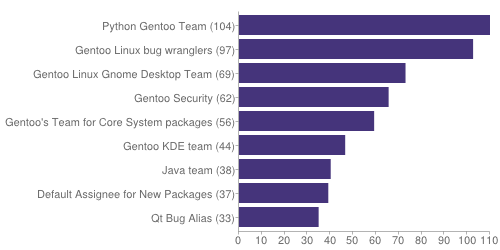 This included removing changelogs from future git commits, removing cvs headers, and simplifying our news repository format. 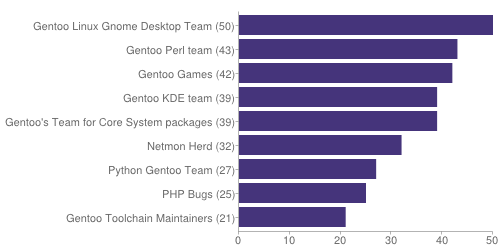 The infra and git migration projects will coordinate the actual migration hopefully in the not-so-distant future. 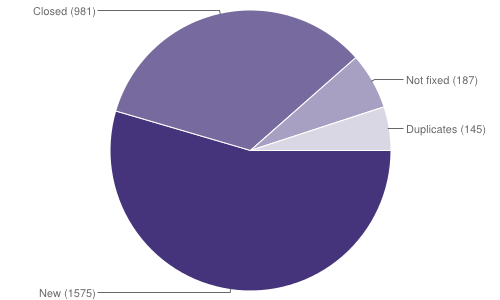 The council also endorsed getting rid of herds, but acknowledged that there are some details that need to be worked out before pulling the plug. The bikeshedding was moved back to the lists so all could share in the fun. 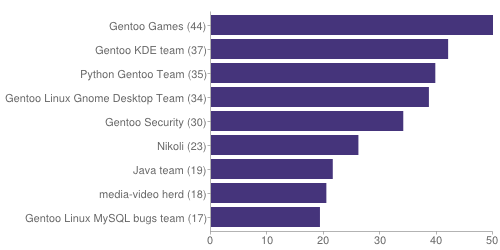 There are still some concerns with the games team. 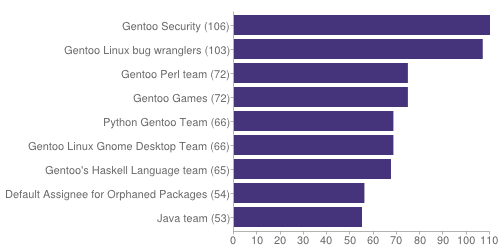 The council decided to give the team more time to sort things out internally before interfering. 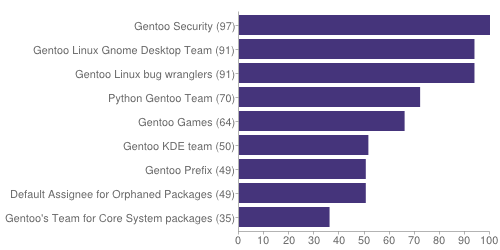 It was acknowledged that most of the serious issues were already resolved with the decision to allow anybody to elect to make their packages a part of the games herd or not. Some QA concerns with some games were brought up, but it was felt that this is best dealt with on a per-package basis with QA/treecleaners and that games shouldn’t receive any special treatment one way or the other. Other decisions include removing einstall from EAPI6, and approving GLEP64 (VDB caching / API). There was also a status update on multilib (nearly done), and migrating project pages to the wiki (sadly we can’t just get rid of unmigrated projects like the x86 and amd64 arches). 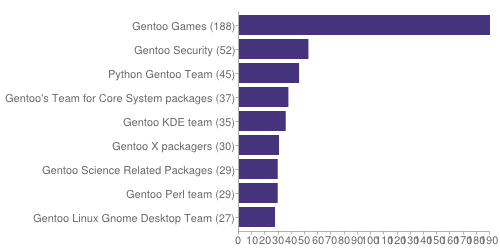 On November 7th, packages inheriting python-single-r1 got a whole lot easier for end-users to manage. 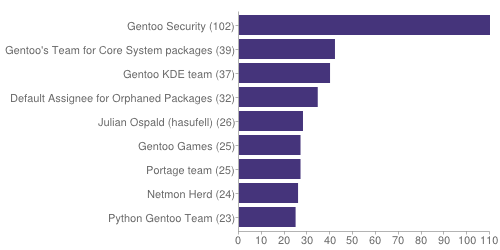 It used to be that any package supporting just one Python required it to have a python_single_target_* USE-flag set to choose it, even if the package was only compatible with one Python in the first place. 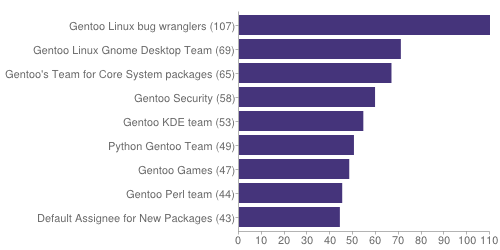 Since November 7th, if a package is only compatible with a single supported Python version (say, python-2.7), then it no longer uses python_single_target_* use flags and relies instead on that implementation being enabled in PYTHON_TARGETS. 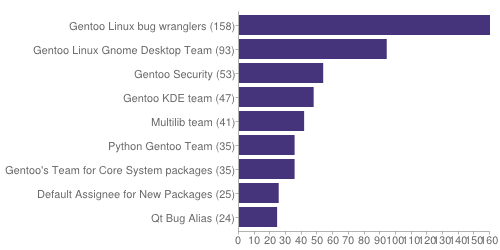 The most visible change seen from this is package rebuilds from removal of a lot of PYTHON_SINGLE_TARGET flags, especially on python-2.7-only packages. 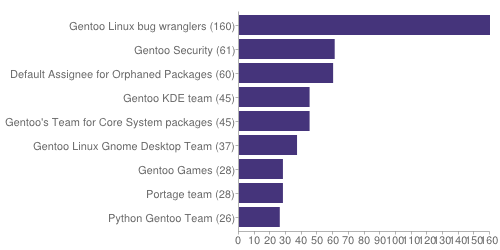 However, the removal of these flags also means that setting PYTHON_SINGLE_TARGET to something other than python2_7 no longer needs all of those packages to be listed in package.use. 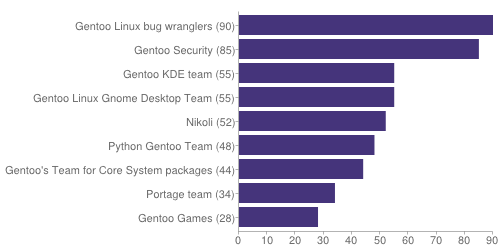 Portage users are also likely to notice that exceptions to PYTHON_SINGLE_TARGET that would require package.use changes are now also be calculated properly by –autounmask, instead of solely being reported as an illegible REQUIRED_USE error. 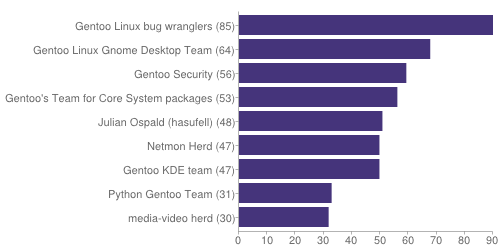 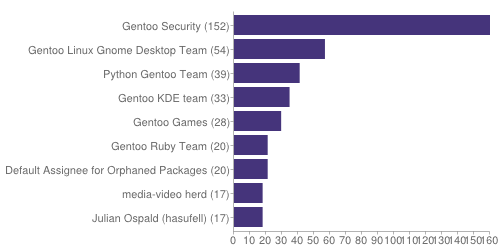 Gentoo is made up of 243 active developers, of which 39 are currently away. 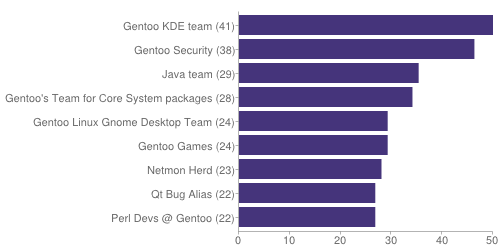 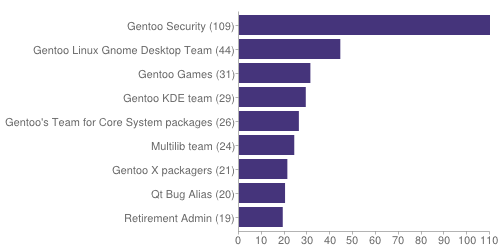 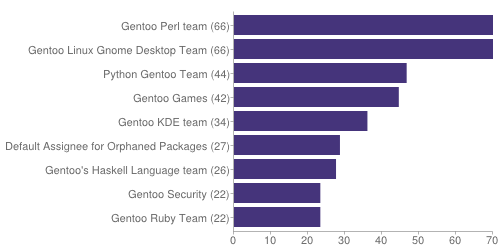 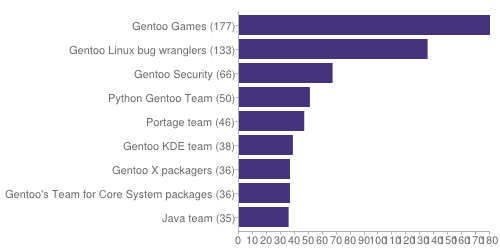 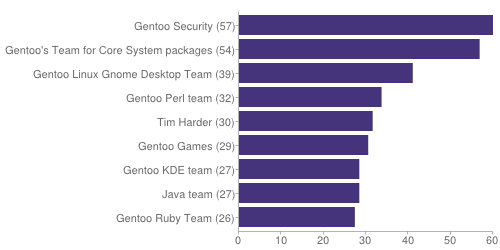 Gentoo has recruited a total of 804 developers since its inception. 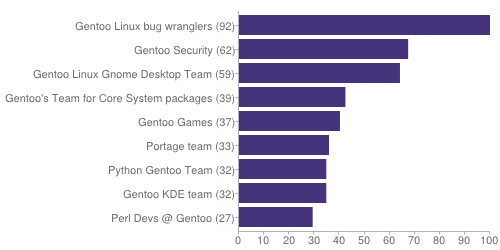 The following tables and charts summarize the activity on Bugzilla between 01 October 2014 and 01 November 2014. 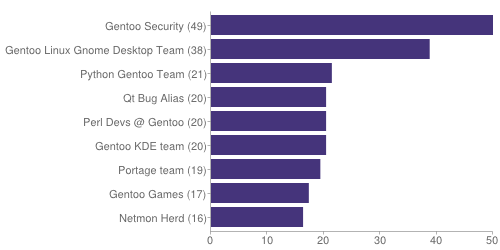 Not fixed means bugs that were resolved as NEEDINFO, WONTFIX, CANTFIX, INVALID or UPSTREAM.